The smart home revolution definitely isn’t happening overnight. Even with a flood of new devices and platforms available, most of us are still only inching toward fully automated homes. Still, you can take matters into your own hands and speed up the rate of progress with these DIY smart home systems. They’re easy to build and most can be up and running in under an hour. If you’ve got a Raspberry Pi to hand at home, you can build all kinds of smart devices with it, including a security camera system to meet your exact requirements. YouTuber JackkTutorials explains how you can use the Pi to set up a DIY security camera that keeps an eye on your property, even when the lights are off. To get started, you’ll need a Raspberry Pi, the official Pi camera accessory, and a few other bits and pieces to get started, as well as the free MotionPie software that lets you access your new device through any web browser. It includes some of the features you’ll find on the best security cams on the market including motion detection, image uploads, and FTP support. What represents our automated future better than a garage door that slides open whenever you ask it to out loud? You could get a proper system professionally installed, but you’ll probably be much happier using this DIY solution on Hackster.io. A Particle Photon or a Particle Spark Core is used as the hub of the whole operation, and there’s some added IFTTT commands as well. It’s not a difficult project to complete by any means, even if you’re a beginner as far as hardware hacking goes. Step-by-step instructions and pictures are provided, and when you’re finished you’ll be able to use your voice to get your garage door opened and closed. There’s even the option to check up on the current status of the door whenever you like. If you want a smart home hack with huge benefits and very little effort, then pick up a Sensibo to stick on the front of your current air conditioner. The intelligent add-on works with most AC units to allow you to control it with your phone, set timers for heating and cooling, and hopefully saves you money on your energy bills along the way. It’s one of the easiest smart home hacks you’ll come across, with Sensibo’s makers promising you can be up and running in just a couple of minutes. IFTTT integration is also supported to enable even more possibilities, and just like Google’s Nest thermostat, the device learns your schedule and habits over time, so it should get easier to operate as time goes on. Not only is the Amazon Echo an incredibly handy device to have around the (smart) home, it’s also an easy way for developers to build voice commands into their projects. For that very reason, we have this DIY project for getting temperature and humidity readings from your Amazon smart home speaker. Some hardware hacking and software coding is required to get it finished. The aforementioned Particle Photon is the board doing most of the work in terms of collecting the data that the Echo (and Alexa) can then access with a little bit of coding. You’re also going to need a temperature sensor for the raw data, as well as an Alexa Skill Set that understands what you want (a download link is included with the instructions). 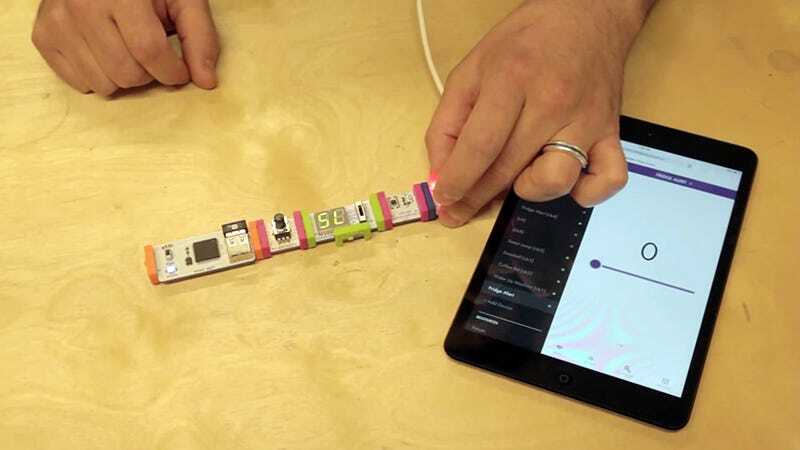 If you’re a keen smart home hacker, then everything that LittleBits sells will be of interest to you. Basically the store is a treasure trove of controllers, circuits, and switches designed to help you build your own inventions. For our current purposes the Smart Home Kit is an excellent way of adding some digital, web-enabled smarts to an analog house. People have made all kinds of weird and wonderful inventions using the LEDs, buttons and sensors inside the LittleBits Smart Home Kit, but we like the Smart Fridge idea—essentially a sensor module is set to warn you with a text message if the temperature inside your fridge gets too warm (probably because the door’s open). What better way to prevent spoiled milk. If you’re lucky enough to have a pool at home and you have the time to commit to a more advanced DIY smart home project, this pool controller guide on Hackster.io is worth a look. By the time you’ve finished you can have a system that controls the pump, heating and lights around your pool, with Raspberry Pi and Arduino boards at the heart of it. You’re also going to need the Windows 10 IoT Core software, but full instructions and schematics are provided if you want to give this a go. Like all the other projects listed here, you can of course modify any of the aspects of the system to suit your own setup. In fact, it’s almost inevitable you’ll have to add some tweaks to this based on your own pool. Another idea from the Raspberry Pi community uses the miniature computer to switch lights on and off remotely, as described by Willq44 at Instructables. You won’t get all of the features and functionality of a full-fledged system like Philips Hue, but you do get the satisfaction of knowing you’ve built the whole setup yourself and can refine it as necessary. The project works by combining the Pi with some remote-controlled power outlets and software that’s controlled over the web, so you can turn lights on and off from a laptop, phone, or anything else that connects to the internet. Some soldering and cutting is required along the way, so it’s a true DIY lighting system, but there’s nothing here that’s particularly complex. Windows Hello can let you into your laptop just by recognizing your facial features, so why not set up a smart door inside your home that works in the same way? Short of coming up with some Mission: Impossible-style face masks, no one else is going to be able to get in there. All the instructions you need can be found in this guide posted to Hackster.io. Now, obviously building a smart door with facial recognition isn’t the kind of project you can knock off in an afternoon, but if you want to give yourself a challenge, this is an ideal choice. At the center of the operation you need a Raspberry Pi or a MinnowBoard MAX and Microsoft Windows 10 IoT Core is the main software platform you’re going to be making use of. This time the project is called Good Morning Sunshine and you get your curtains sliding open and a song of your choice playing as soon as it’s time to get out of bed. It’s a little complicated in places, but with the LittleBits kit and the instructions here ,anyone should be able to do it. You need some other odds and ends to make this work, including a hanging bracket, some mounted pulleys and a counterweight of your choice, but it’s a cool smart home hack to try out and you can even add a radio horn if you’re so inclined. With the help of IFTTT, you can activate it at a fixed time each day or whenever sunrise happens to be. Smart lights are one of the most popular smart home gadgets, so here’s another project that’s based around the Arduino mini computer rather than the Raspberry Pi. It’s been put together by engineer Ben Radler and you can read his two blog posts on the process here and here. It’s pretty much a Philips Hue-style system that you put together yourself. The most recent version of the system features a scheduler function so your lights can go on and off (and change color) on a schedule, and everything can be controlled from your phone or laptop. There are even some added security features, should you be worried about your neighbors changing the hue of the living room when you’re not watching. Here’s another simple hack that involves adding a bit of extra kit to your existing dumb appliance. In this case it’s the Roost smart battery that fits inside almost all a smoke alarm models and adds simple wi-fi and phone connectivity. The 9V battery can be installed in minutes and lasts for up to five years, according to the people behind it. Having access to your smoke alarm via an app means you can get alerts about a possible problem from wherever you are in the world and snooze false alarms quickly if you know there’s no danger. Everything is set up through the app. You just plug the battery in, and start using it. You can even configure separate rooms and give neighbors access when you’re away.